A suite of tools for increasing the operating system performance. WinTools.net cleanly removes unwanted software from disk drives and dead references from the Windows registry. 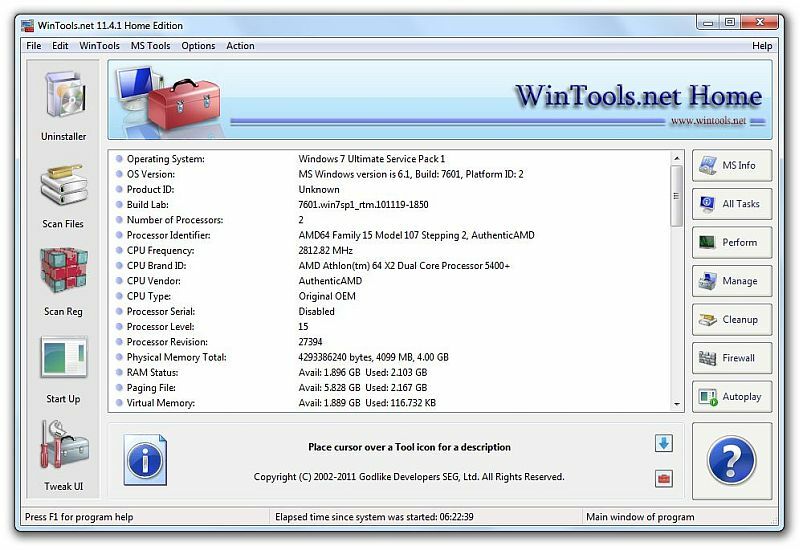 WinTools.net puts you in control of the Windows start up process, memory monitoring and gives you the power to customize desktop and system settings to fit your needs. Advanced Registry Doctor is capable of scanning for, diagnosing and curing multiple registry problems, which averts possible malfunctions and crashes, and significantly improves the speed of computer loading and performance.